Johnny Depp does not come with the theater. All things Dillinger are hot these days. 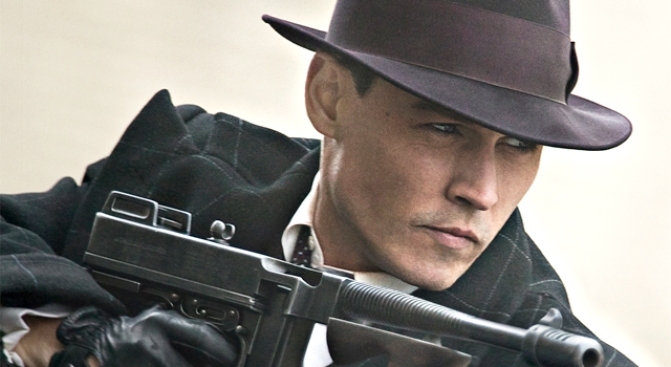 Johnny Depp and "Public Enemies" have made the crime sprees of John Dillinger, well, cool. And so, cashing in is in full force. An auction company out of Albuquerque, N.M., will be taking online bids from July 16-30 at www.naiglobal.com/powersale. An evangelical minister has owned the property for three years but is facing foreclosure, according to the South Bend Tribune. Newspaper accounts say the bullets in the theater were shot on June 30, 1934 after Dillinger and his gang robbed Merchants Bank in downtown South Bend. A gunfight between police and his gang started after the group walked out with more than $30,000. A police officer was killed and eight others were wounded. The bullet marks you could now own were left on the marquee and facade of the building. NOTE: Johnny Depp is not included.